"Contested Histories: Art and Artifacts from the Allen Hendershott Eaton Collection" goes on view. From the Los Angeles Times: A collection of artworks and other artifacts from Japanese American internment camps made headlines in spring 2015 when protesters successfully steered these pieces of American history away from the auction block, where they could have fallen into private hands. The protesters' goal: Put the pieces on public exhibition instead. Mission accomplished. On Sunday, every item in the collection (or digital representations of them) will go on view at the Japanese American National Museum’s Hirasaki National Resource Center in Los Angeles. 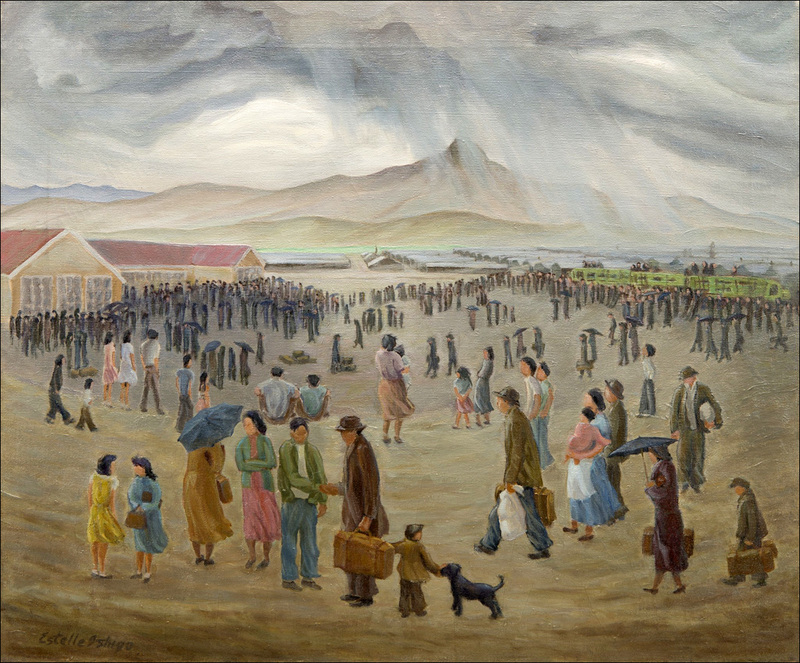 Titled "Contested Histories: Art and Artifacts from the Allen Hendershott Eaton Collection," the exhibition includes more than 450 paintings, photographs, sculptures, pieces of jewelry and other objects made by hand in camps where about 120,000 people of Japanese descent were incarcerated during World War II.